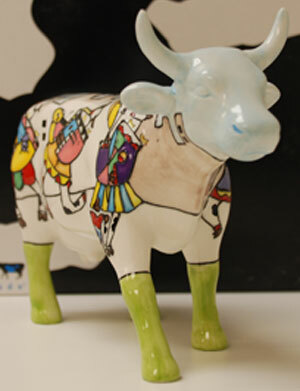 About this Special: This cow is in perfect condition. 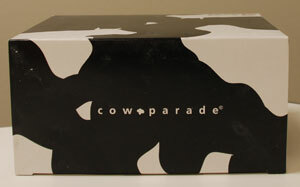 Her box may have a few nicks and scratches. 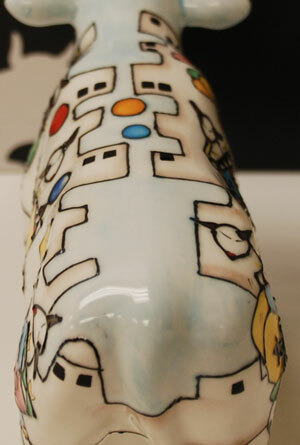 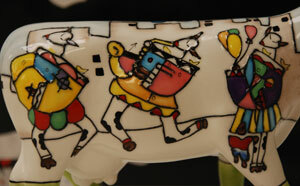 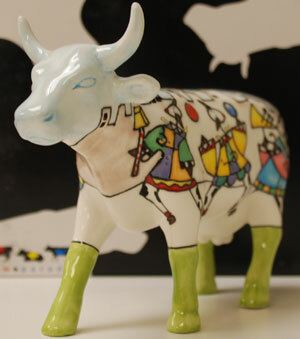 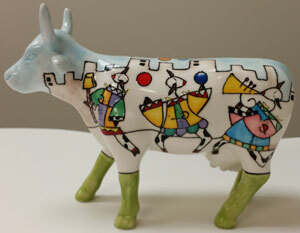 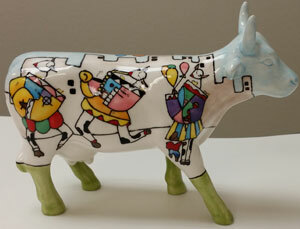 CowParading Cow: Colorful, geometric cows are 'on parade' on this one-of-a- kind piece by artist Eric Waugh. 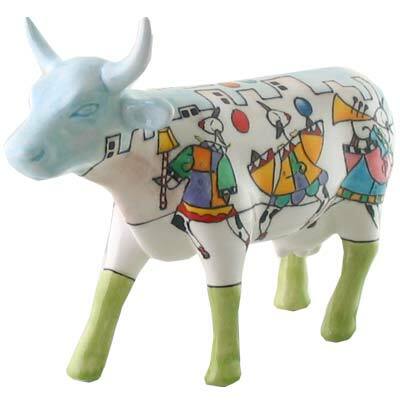 The outlines of the cityscape and cows are raised, giving the design a unique texture and three-dmensional effect.